Even a daily reminder is not enough–I need an hourly one, to remember that I’m not parenting just to survive the day or to create the most comfort for myself. I am parenting for the future, for my grandchildren–waging war against the one, masquerading as light, who wants to destroy my children. 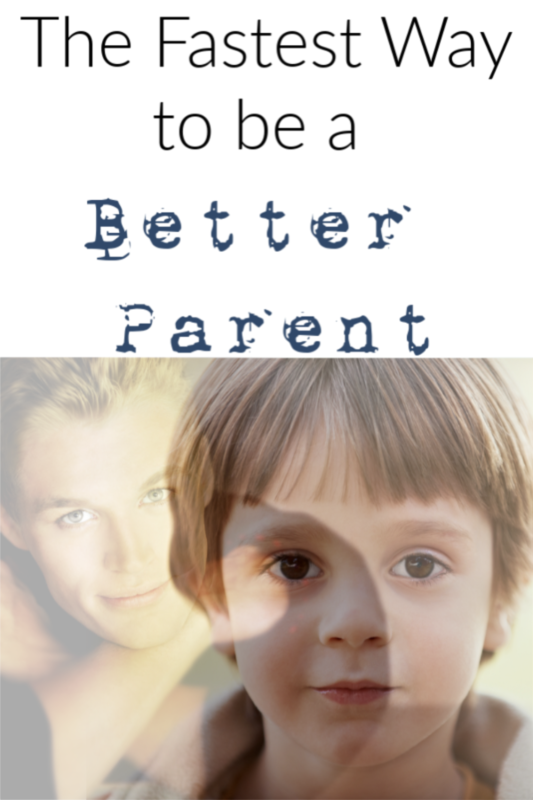 That sober realization is the fastest way to be a better parent. It’s so hard to remember when we simply want peace and quiet, or when frankly, we’re tired of parenting for the day, or just have a million other things pressing. But when I grasp what really happens day to day, the power of parenting and the privilege to impart to my children what they need to grow into strong, wise adults who love the Lord, or when I grasp that I can choose to neglect that privilege, it shakes me to my core. We are here for a short time, and what we impart to the next generation is all that will be left of us. It will be the greatest or the most tragic thing we do with our lives. When my 3 year old is sneaking into the pantry for more snacks when I’ve told him not to, it matters how I react. Because it’s not just about him right now, or the snacks. And certainly it’s not about my inconvenience. He’s becoming a man. I’m teaching him how to parent his own child. What will he learn? I recently gathered my children around and apologized to them for the many times I’ve parented out of frustration or selfishness. I’m sure I’ll apologize more along the way. But each day, I’m striving to bring my sins before the Lord, ask Him to fill me with His love and patience, and help me be a mother who lives selflessly, who imitates Christ more and more, who empties myself into them, because I want my children to be that kind of parent to my grandchildren. They will learn from how we live, not so much what we say. Parenting is glorious. Don’t buy the lie that children are just minions to endure until they grow up. They are your greatest earthly treasure to nurture, teach and point to the Father. They are the best investments you can make. It’s hard work but it’s good work. Be faithful. I needed to read this today. It is so, so encouraging. Thank you! Yup. Needed that. Thank you. The Fatherbis faithful. May He continue to use you to inspire others striving to bring up and be apart of the 4th generation to follow. I am uplifted by this motivation.. i have relocated recently back home with 3 beautiful gifts 6,4 and 10months who is still colic.may the Father be all of us as parents to call it great joy and endure all growing moments to raise HIS LITTLE SOLDIERS..
SHALOM may the Father guide you all always. I sure needed this! Thanks so much! I often think about what we have imparted to our now adult daughter is for the future and will be all that is left of us some day. Thanks for making that point also. I feel good about what we have given and taught her. It’s important to keep on giving (advice, compassion, encouragement, etc. ) for as long as we are alive. As a veteran high school teacher it makes me sad when I meet parents who have given up on their teenagers or don’t believe their older children need them in the same way. Teenagers need us more than ever and want to know every day that they matter and are loved.